Principal Cello of the Minnesota Orchestra, Anthony Ross has been a soloist many times with the group, performing concertos by Dvorák, Victor Herbert, James MacMillan, Beethoven, Saint-Saëns, Elgar and Shostakovich, among others, as well as many chamber works. In October 2009, he was featured in the Schumann Cello Concerto under the baton of Stefan Sanderling; in May 2010 he played the Brahms Double Concerto alongside Acting Concertmaster Sarah Kwak in concerts led by Mark Wigglesworth; in October 2010, Ross performed Walton’s Cello Concerto under Gilbert Varga’s direction. 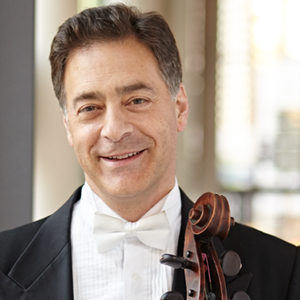 Before joining the Minnesota Orchestra in 1988, Tony was principal cello of the Rochester Philharmonic in New York. He assumed his current position in 1991. Away from Orchestra Hall, Ross is active as a chamber musician, festival performer and educator. He has appeared in the Mostly Mozart, Cactus Pear (San Antonio) and Bach Dancing and Dynamite Society (Madison) festivals, and has performed on stages from Pensacola, Florida, to Rhodes, Greece. Ross has taught at the Eastman School of Music, the Aspen Festival and the Grand Teton orchestra seminar. A graduate of Indiana University, Ross earned a master’s degree at the State University of New York, Stony Brook. In 1982 he was awarded the bronze medal at the prestigious Tchaikovsky Competition, and he received McKnight Fellowships in 2001 and 2005.